Have a question or need insight? Want to book a class or reserve the Gypsy Wagon? Contact Suzie today! Live Chat, Phone, or Skype readings available anywhere in the world! 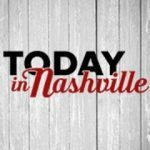 In person readings available at locations in Nashville and surrounding areas. Available for corporate events and parties too! Here are a few links to sites that I have found helpful, informative or just plain FUN! Enjoy!